Say you’re driving your car and you notice the temperature gauge running too high, or a strange rattling noise coming from the engine—or you notice oil leaking onto the floor of your garage—you probably aren’t likely to wait too long before attempting to diagnose the problem or take it to a mechanic. It may be a simple problem now, but “simple” car problems have a way of turning into disasters if you leave them alone too long. The same is true for your hammertoes. The condition is progressive, meaning it will only get worse—not better—unless you actively seek treatment or intervention. In the beginning, the joints may still be flexible, which means the toe can be realigned by pushing on it or by using aids like splints. In time, though, the joints can become rigid and immobile, locked into place. If that happens, the pain can often be significant, and surgery likely becomes your only chance at relief. We want to stop that from happening! Although the toes will likely stay bent at rest without surgical intervention, flexible hammertoes often still respond well to gentle, conservative treatment measures. By acting early and making smart decisions, you can minimize any discomfort and halt the progress of the condition without needing a surgical procedure. The first step is simply being smart about your footwear. Avoid fashionable (but damaging) styles that cramp your toes, and instead opt for comfortable, low-heeled shoes with plenty of wiggling space in the forefoot. You may also benefit from padding for toe tops or other places likely to develop corns from friction and irritation—we provide these in our office, or you could look for (non-medicated) OTC corn or metatarsal pads from your local drug store. Our office can also help you with stretches to strengthen toe muscles, splints or taping to keep your toe in its normal position, shoe inserts or custom orthotics, cortisone injections, or other techniques designed to keep pain under control and keep the hammertoe from getting worse. We want what’s best for you. Although Dr. Danciger is a skilled surgeon with decades of experience, our policy is always to exhaust conservative care and keep surgery a last resort. In order to do that, though, you need to seek care early, before symptoms worsen. 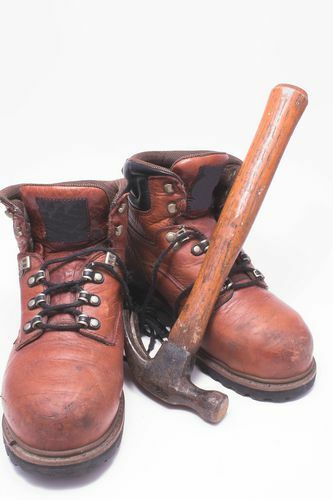 To halt a hammertoe before major surgery becomes necessary, call our Palm Desert office at 760-568-0108.